Welcome home to one of the Island�s finest waterfront neighborhood enclaves on coveted South Beach Drive! Steps from Fort Ward Park this sublime low bank waterfront retreat features 90' of sandy beachfront and spectacular views of deep blue Puget Sound, passing ferries, and the Olympic Mountains for world class sunsets. The luxurious custom home offers a private main floor master suite, a perfectly positioned gourmet chef's kitchen, and stunning views from most rooms. Very best of island living! Spacious corner lot home in desirable Somerset neighborhood. This 5 bed, 4 bath home was recently renovated & upgraded, has an open concept kitchen/living/dining rooms, large deck and private yard, ideal for entertaining. Kitchen offers granite counter tops, solid oak cabinets, and new appliances. Lower level has a 2nd master, family room, additional bedroom/bath, separate entry, and room for 2nd kitchen, perfect for ADU/MIL/AIRBNB possibilities. Bellevue school district, and easy access to I90. Rare multi-home water view estate property. Enjoy Holmes Harbor water views from the beautiful (4BR/3BA) 19th century historical bungalow dating back to Freeland�s founding days. 2nd modern home (1BR/1BA, plus loft) offers many possibilities. Large historic workshop for tinkering & toys. Huge price drop - Seller is serious and ready for an offer! Spectacular unobstructed waterfront views from this Northwest Contemporary Home. Custom high end finishes throughout. Gourmet chef's kitchen. Expansive floor to ceiling windows & westerly views of Puget Sound, Olympics & Whidbey Island. Open concept in kitchen, living, dining, office & deck areas. Family room with kitchenette, game area and Fleetwood door that opens up to full home width patio. Low bank waterfront access and buoy in front of home. Feel like you are on vacation everyday! American Cherry hardwoods and cabinets. Two master bedrooms up with master baths. 2 beds down. Theater room down with wet bar. 2 offices 1 with outside entrance. Bonus room with wet bar. Multiple zone speaker system throughout house and outside also nerf tubing to add additional wiring if wanted. Amazing kitchen the whole family can cook in. Intercom system. Wine cellar. Storage rooms or ?. Sprinkler system. Exterior just repainted. This home is sprawling but very cozy. On over an acre. This shy level 2 acre lot is in the heart of Woodinville Wine country. Over 100 different types of plants & trees in peaceful, private, serene setting. 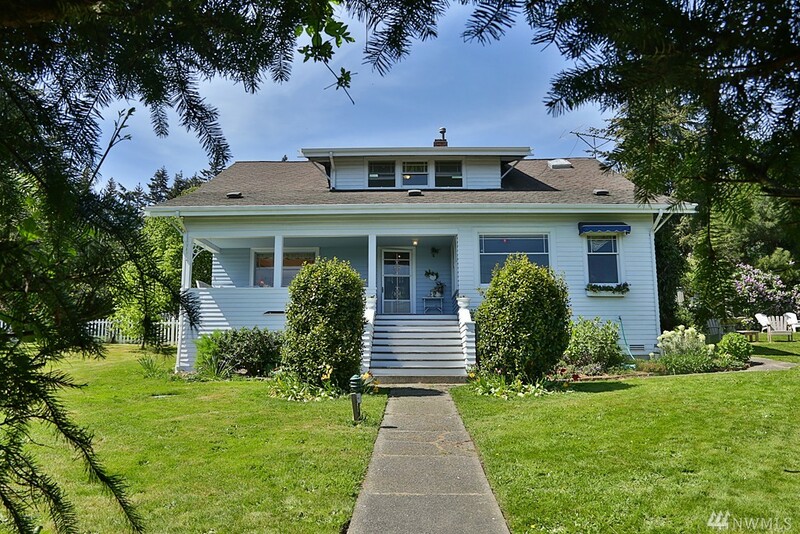 Conveniently close to Microsoft, freeways & award winning Northshore schools! Large breakfast nook. Kitchen w/eating bar that opens to a great room with soaring ceilings is perfect for entertaining. Main floor master with nicely updated 5 piece bathroom. 2 large bdrms with lots of storage. 400 sqft. Office/Den/bonus room in garage with half bath. Stunning fully renovated custom estate w/ circular drive on Ring Hill. Ultra private! Minutes to Microsoft, Bellevue, & shopping. Open kitchen w/ walk-in pantry & new SS appliances. Huge great room w/ high ceiling, exposed beams & slate floors. Spacious master w/ hardwood floors, sitting area, and walk-in closet. Private MIL/nanny quarters downstairs. Expansive multi-level sun drenched deck w/ covered pergola & hot tub. 2.43 acres of park-like yard w/ perennial salmon stream. New roof in 2017. Large windows and sliding doors allow natural light to stream in. Two decks surrounded by trees create a feeling of privacy and serenity. Spacious and thoughtfully constructed with attention to details throughout. Average tenancy is ten plus years. Two parking spots in a secure garage. Two large storage units. An easy walk to downtown Mercer Island. LOCATION, LOCATION, LOCATION! Just off Bothell Way NE. Near downtown Bothell, Kenmore, Woodinville, Park&Ride Burke-Gilman. Prelim approval for 10-unit townhomes in 3 buildings. Units are for 2,032 - 2,078 sf of living space & 2-car parking garage. The seller is able to complete structural engineering work to support the architectural plan which needs the architect�s stamp for the building permit. Application for Clearing Permit is pending approval. Environmental docs are approved & on file. Beautifully designed home offers modern day living with spectacular views and updated masonry landscape. Open concept layout with top end finishes: granite slab counters, gourmet kitchen with center island, back splash tile, cherry hardwoods, spacious loft area. Dramatic views in this 2 story home at the end of a quiet Cul-De-Sac. This home combines quiet & convenient urban location. PLUS a 900 sq ft crawl space with 9 ft ceilings--create a mother in law suite, or more living space! Fantastic Lk Samm View Home, 5 BD 4 BA w/ perfect setup for MIL or AirBNB. Very quiet & private. Beautifully updated baths, floors & doors. Australian maple hardwoods & engineered hardwoods. New HP siding, roof, windows, deck & gutter guards. 2 laundry rms & 2 hot wtr tanks. 10' ceilings in basement & plumbed/wired for full kitchen. Sauna. Tool shed w/power. 2 minutes to I90. Across from the French Immersion School & Sunset Elem. RV/Boat Parking. Don't miss this amazing opportunity! Prime 55 acres for residential development in Chehalis. Utilities are near, easy access to Jackson Hwy and Kennicott Hill Road. Close to town. Includes two parcel numbers 017466002004 and 017466002003. 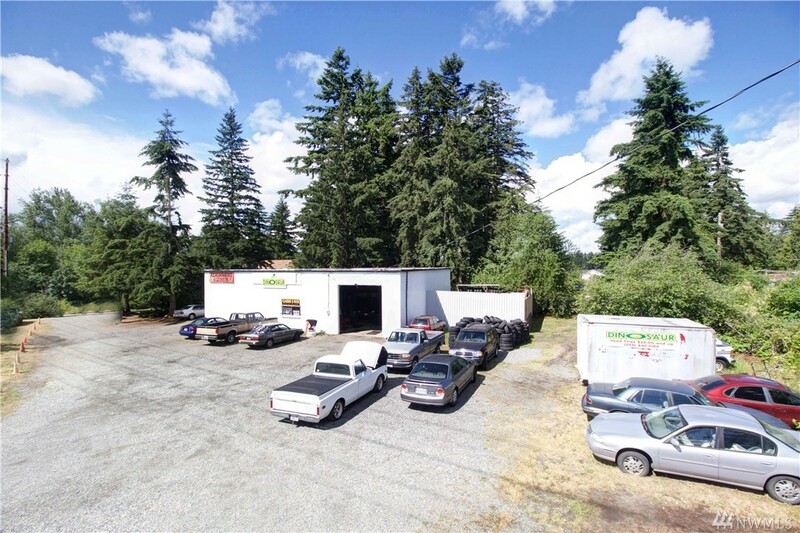 This property is close to downtown Chehalis, minutes from I-5 and Seller will consider splitting the property. Very Unique Opportunity. Immaculate 2,904 sq ft 3 bedroom 2.5 bathroom daylight basement. Beautifully updated wide open kitchen concept nice dining area with slider leading to outdoor deck. newer carpet throughout. Plenty of natural light. Oversized bedrooms on main floor. Downstairs enjoy the large great room and wet bar with wood burning fireplace. 3rd bedroom, utility room and access to 2 car garage. Detached working 2000 square foot automotive repair shop. All this on 3+ acres. Attention dream home builders, developers, land bank investors: 2.22 private, secluded acres in Snohomish Bothell. Zoned R9600, great opportunity for custom home or remodel/add-on of current home, multiple home plat or small community development. Home, shop, containers included but the value is in the land. Great location, access, Northshore SD, buyer to verify highest and best use of land. Seller intends to review offers upon receipt. Seller is a Listing Broker licensed in Wa. State.